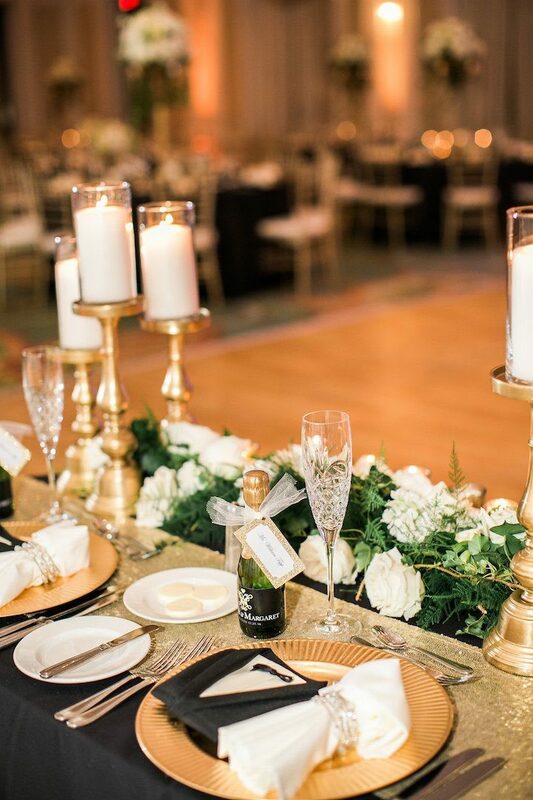 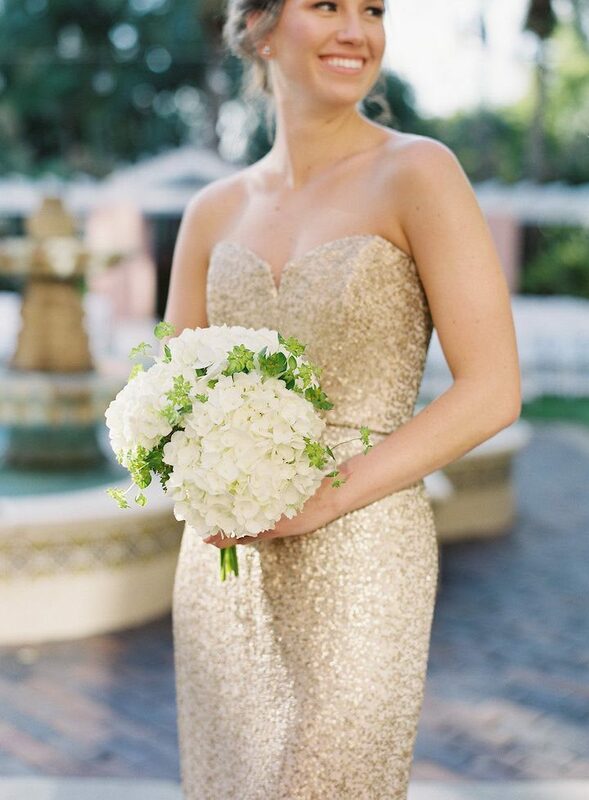 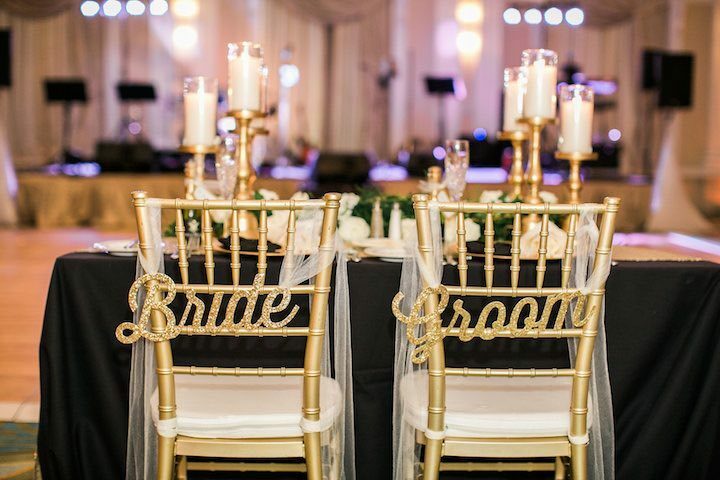 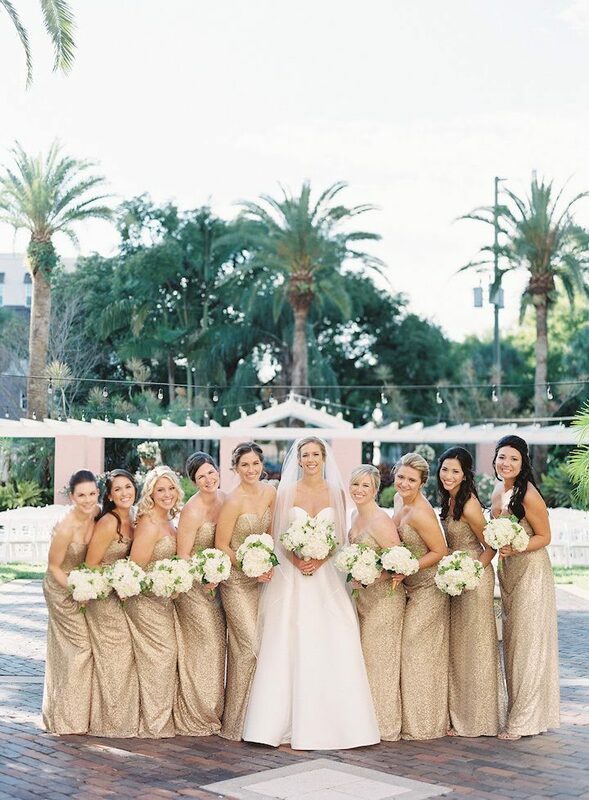 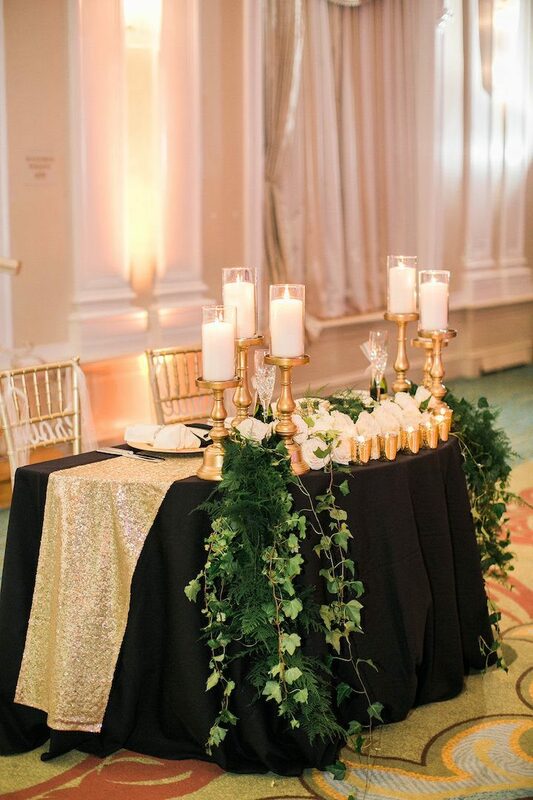 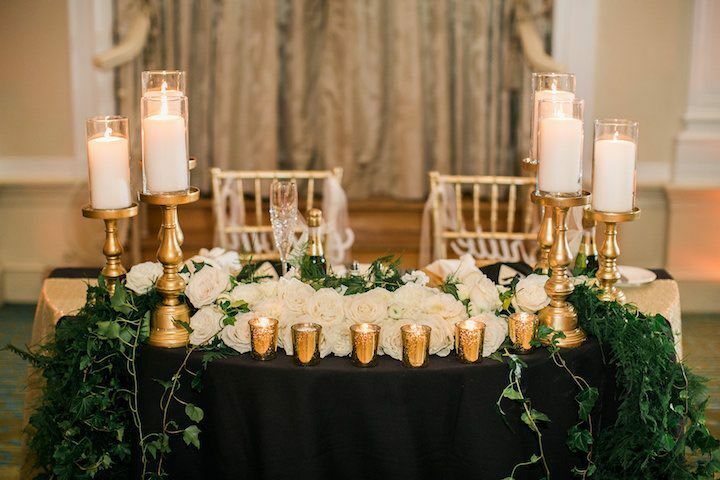 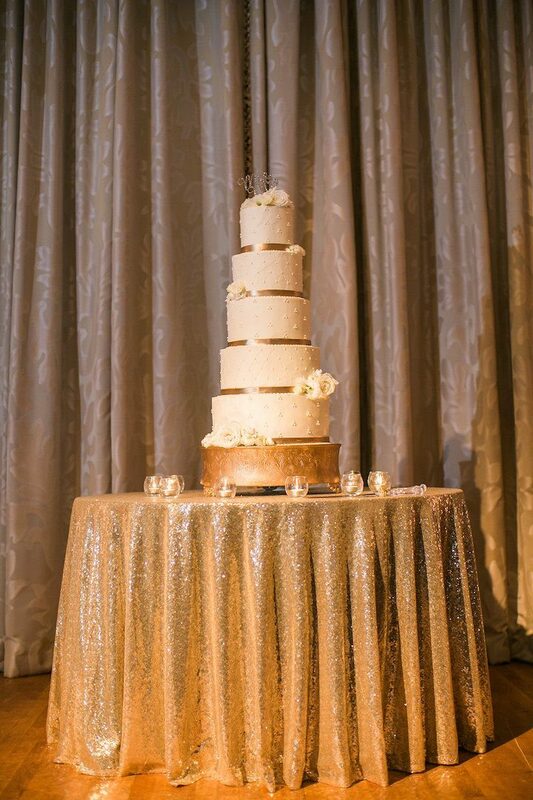 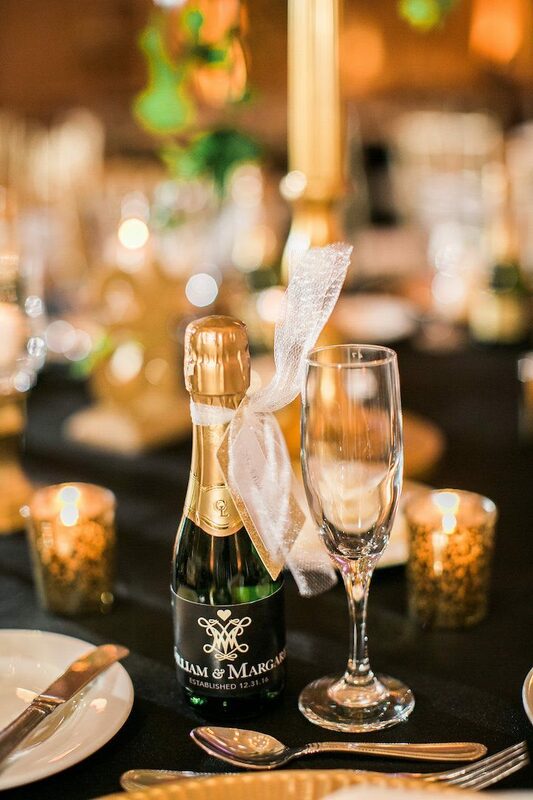 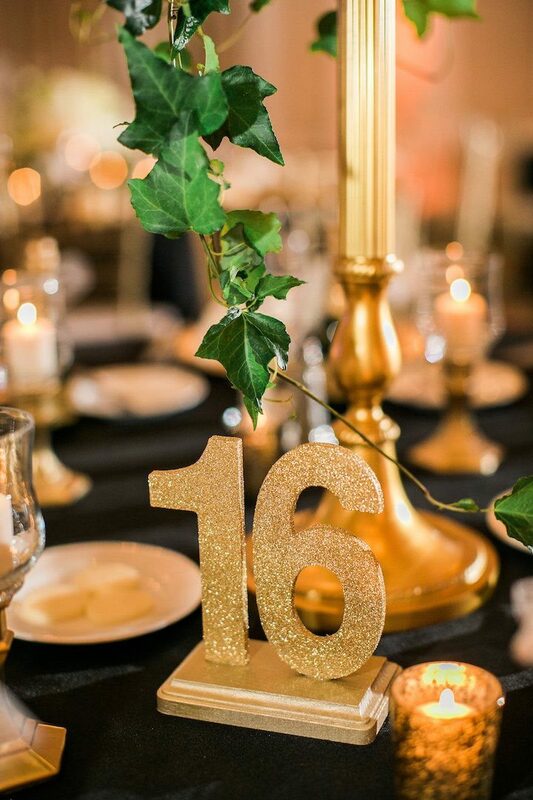 Gold is truly the color for any celebration and this Florida wedding, taking place on New Year’s Eve, is a double celebration. 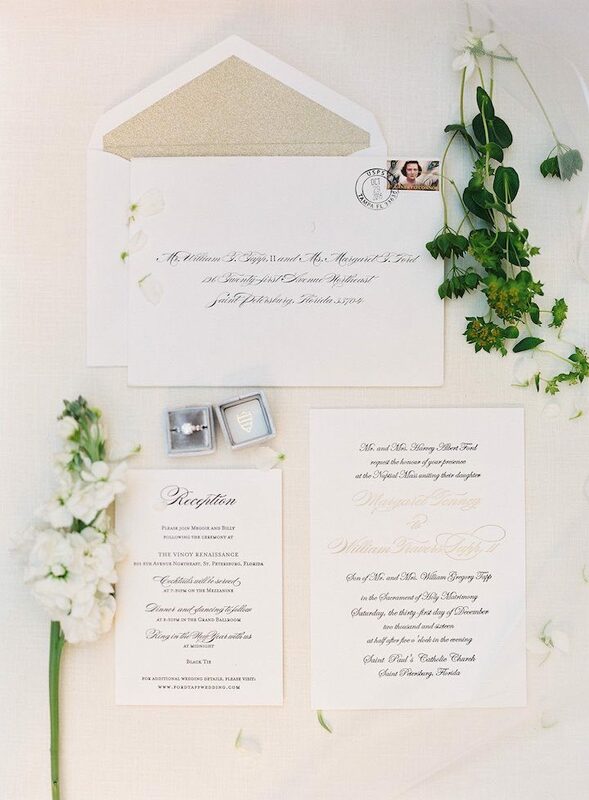 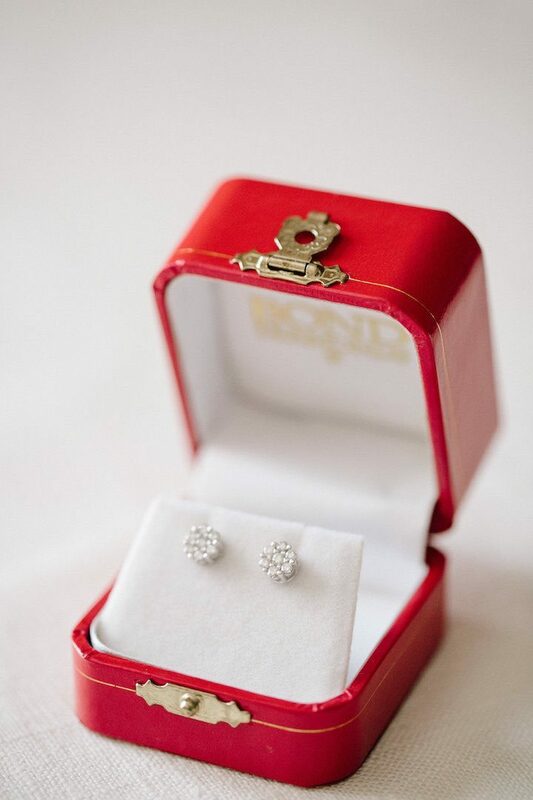 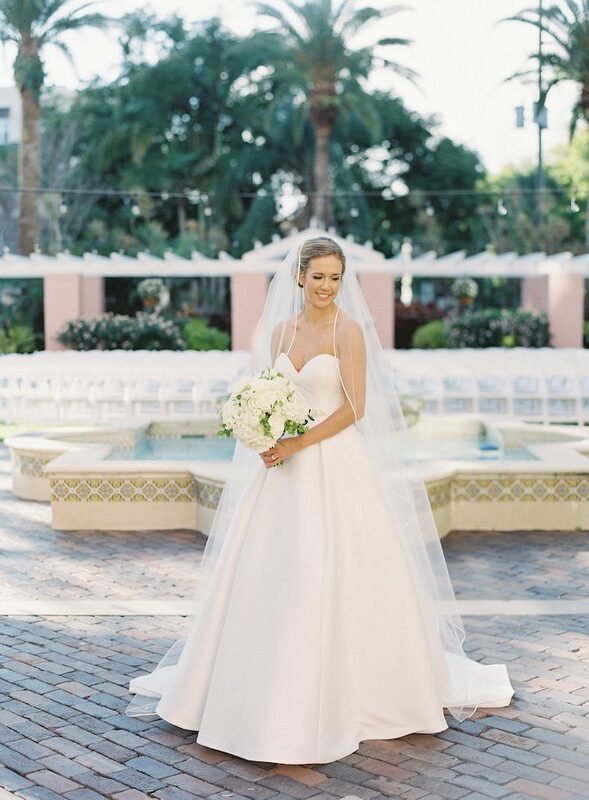 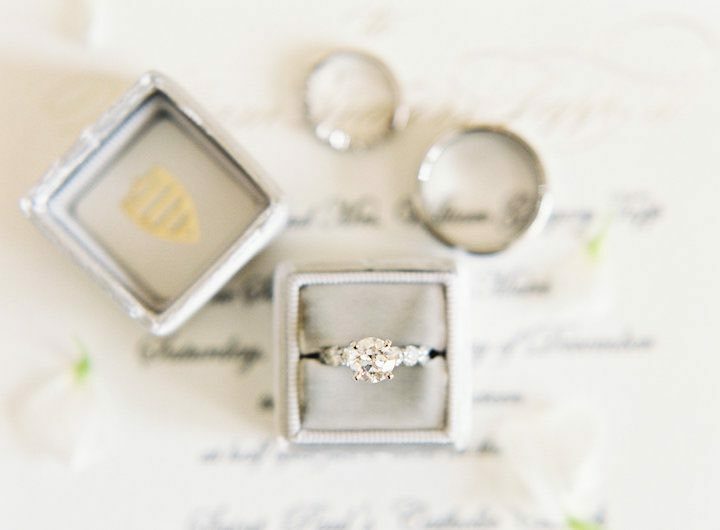 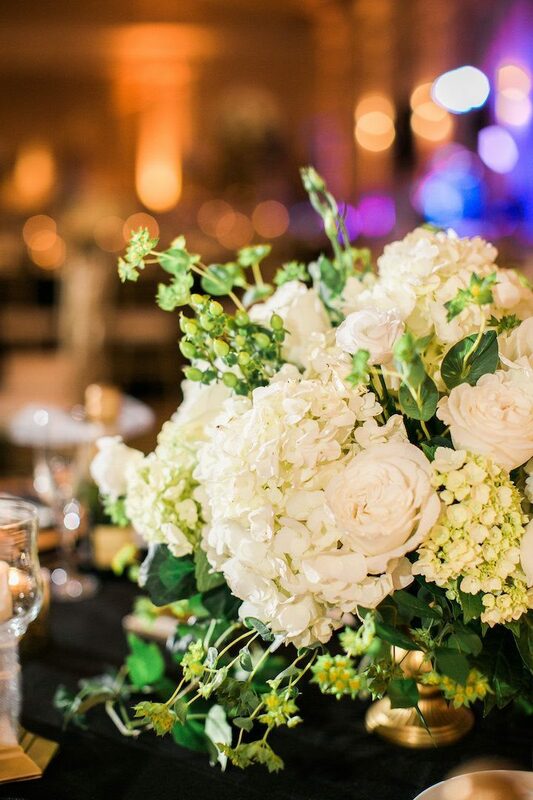 Held at The Vinoy Renaissance, Margaret and William’s wedding evoked romance and elegance through all its details. 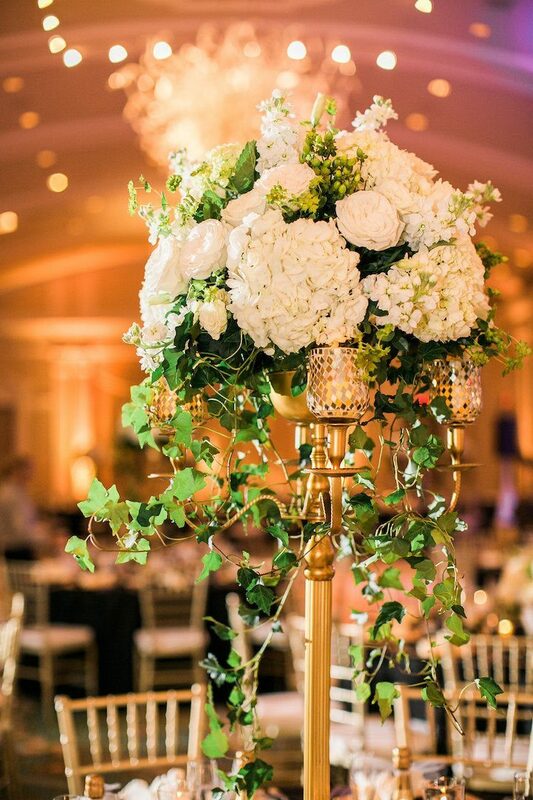 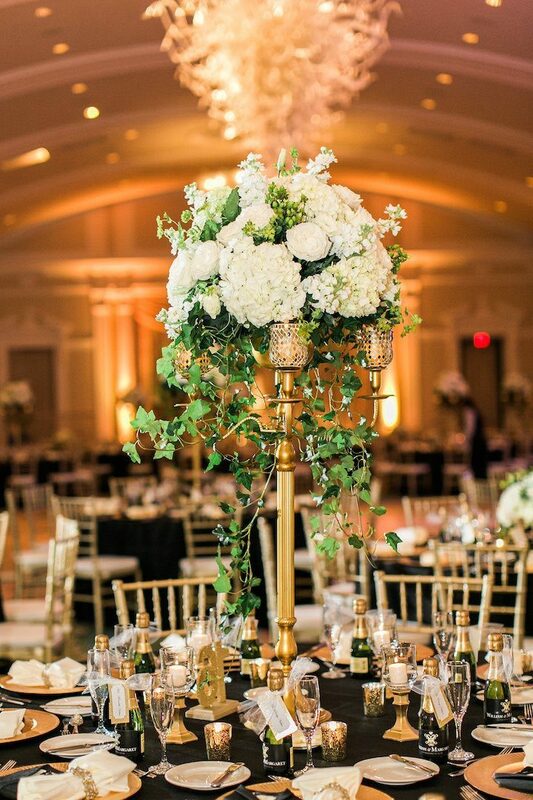 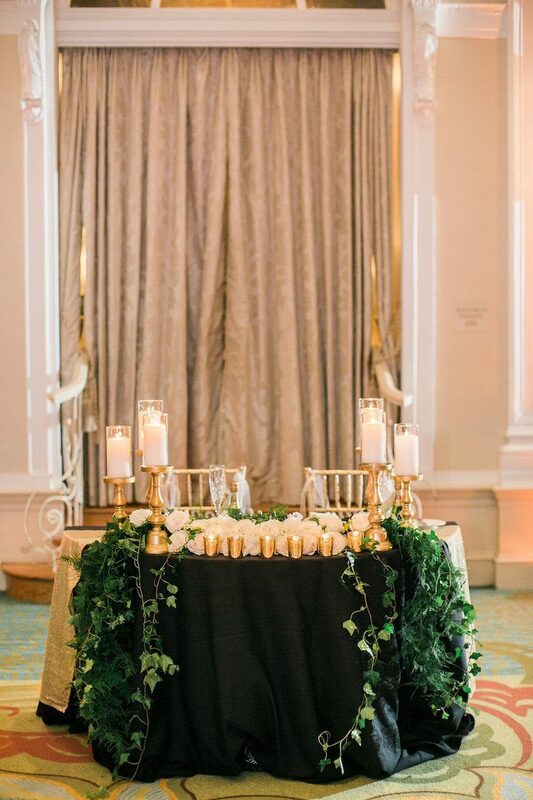 Adorned with strikingly stunning gold decor and leafy greenery, this ballroom reception was truly an elegant affair. 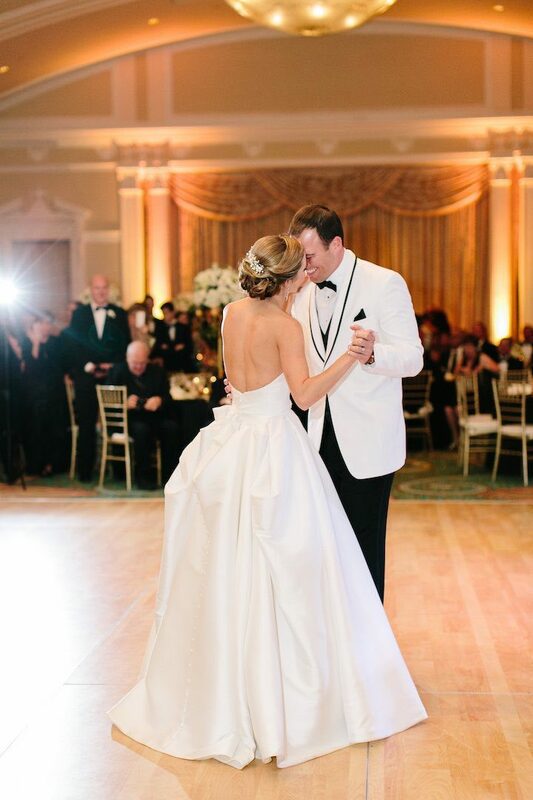 The friends and family danced the night away to the tunes of the Bay Kings Band and Jacqui Cole was there to capture every treasurable moment for these two. 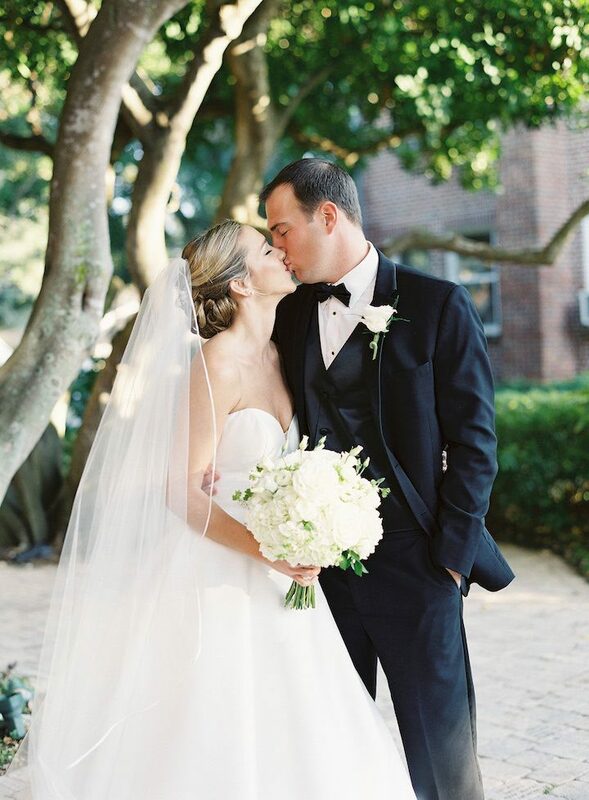 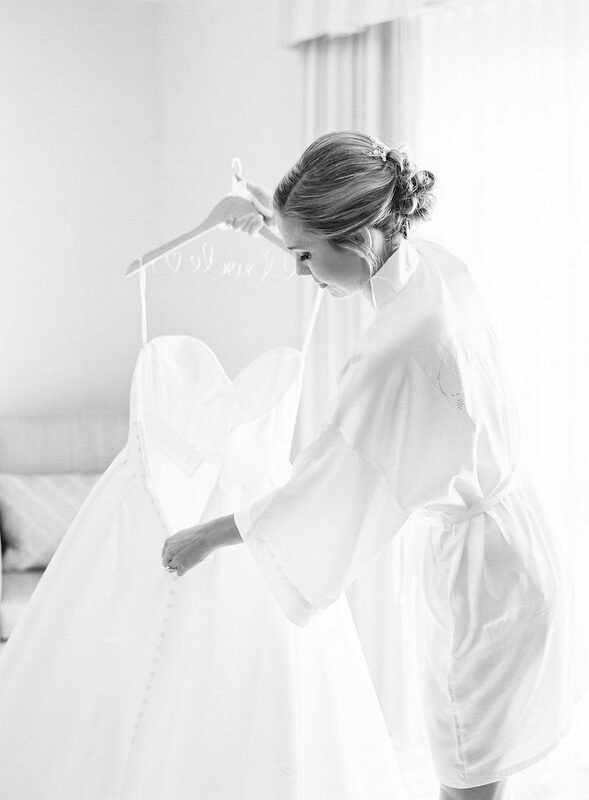 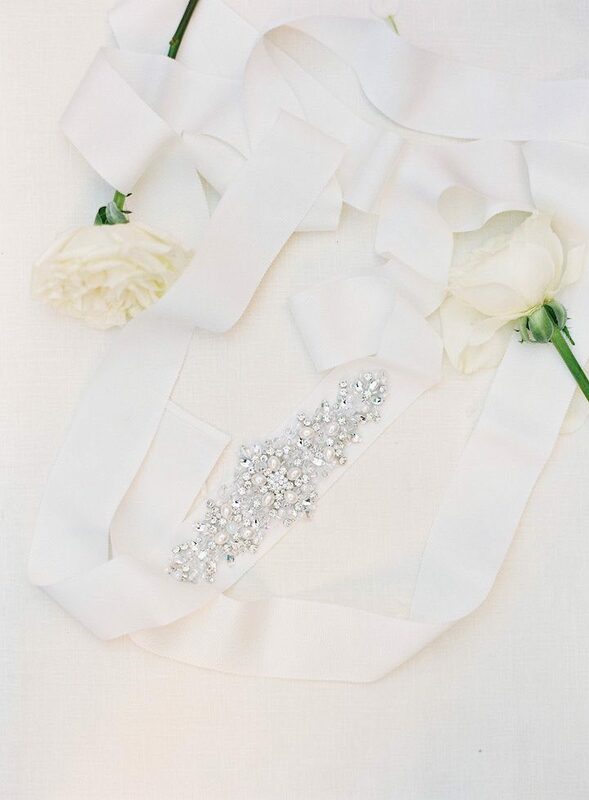 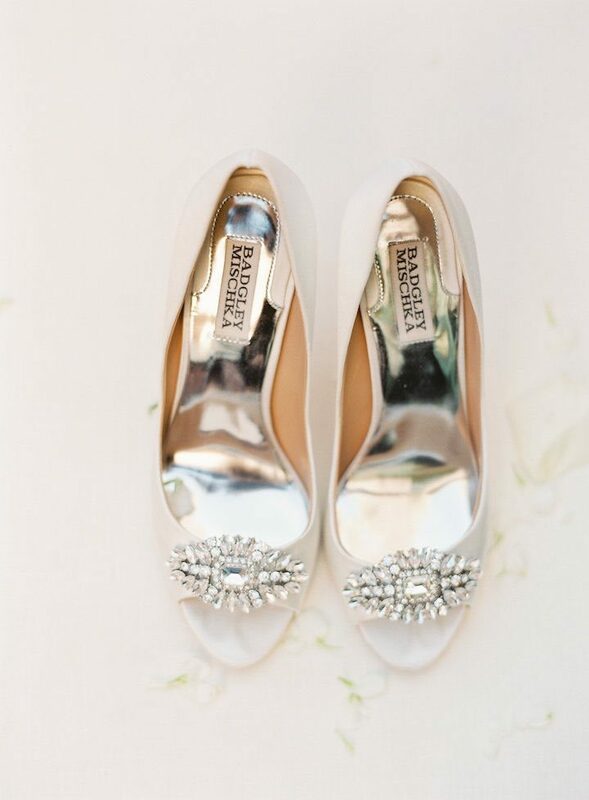 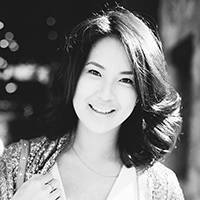 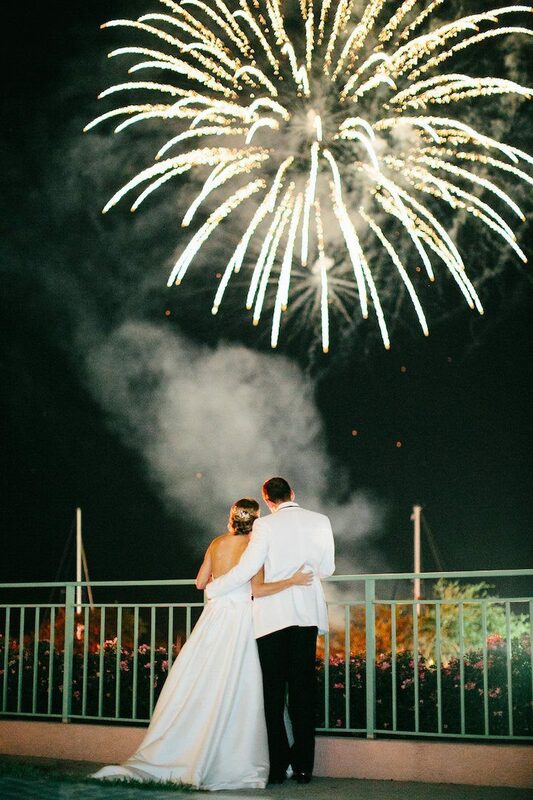 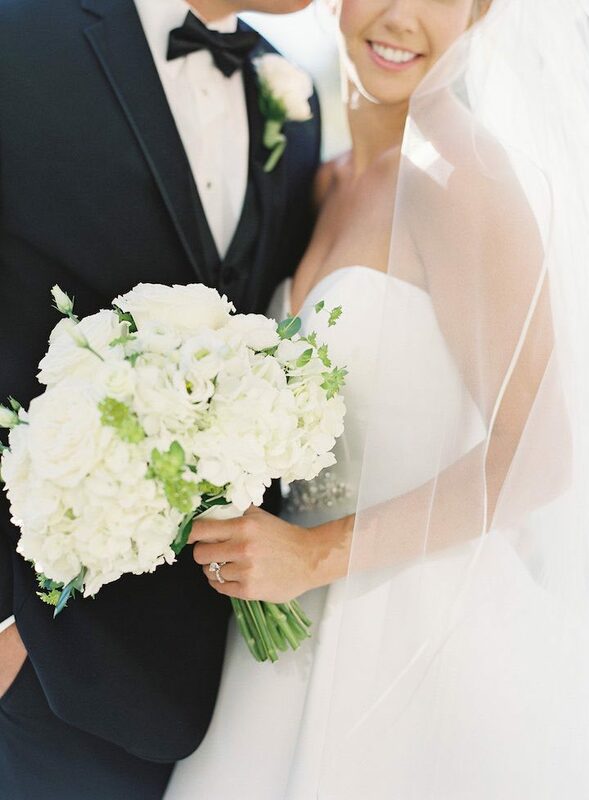 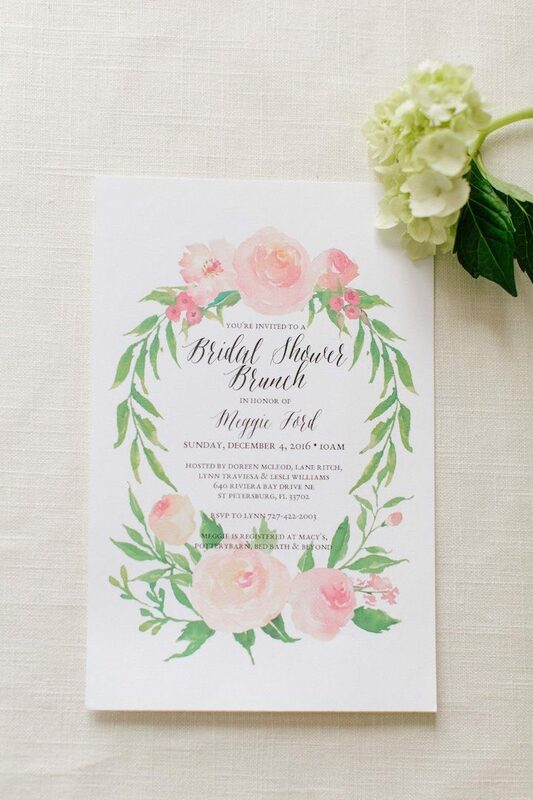 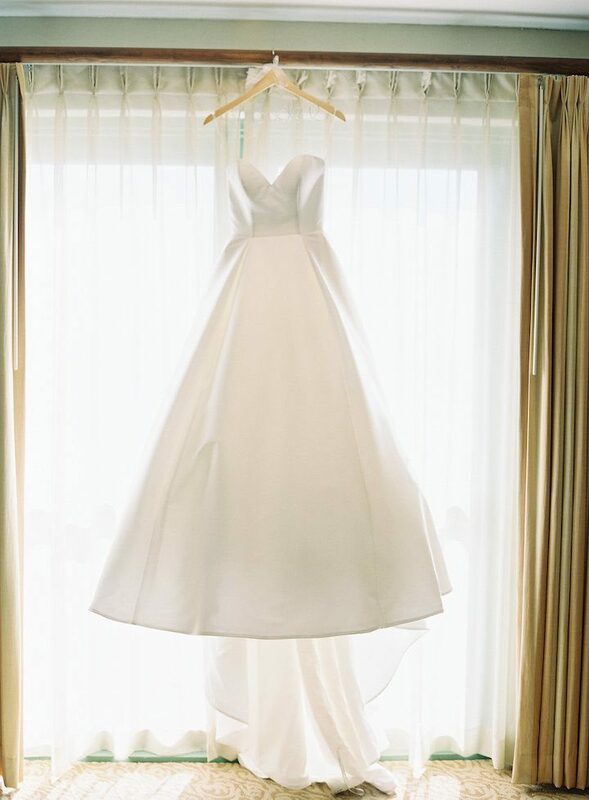 Keep scrolling to be inspired by this chic Florida wedding.